You?ve got your paddle board and are ready for action, so how exactly do you take it from your home to the water? For many people, space is an issue and so too is lugging a heavy board around, and it?s often part of the process that is forgotten. There?s no need to fear, though, because transporting your stand up paddle board doesn?t have to be hard on you or the board. 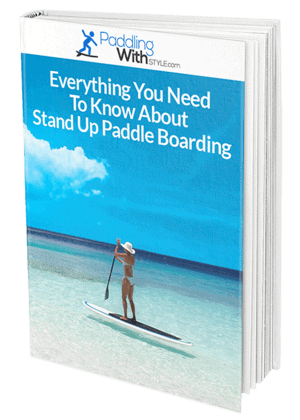 We?re here to show you the simplest ways for how to transport a paddle board so you can be on the water in no time. 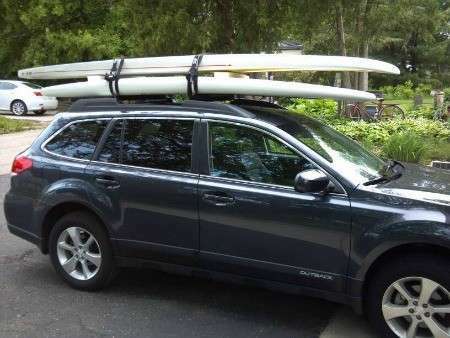 Having a paddle board roof rack attached to your car can certainly make it easier, so you should look for a soft pad variety that will do minimal damage. Set the SUP on top with the fins down so that it?s flat and won?t blow away as you drive, and secure the straps. Even if you don?t have the space for SUP roof rack on the top of your car, you might want to consider purchasing an inflatable stand up paddle board which can easily travel with you inside the car. Regardless of the type of SUP you have, though, you?ll always want a paddle board cover on it to protect it from dings and dents during transport. 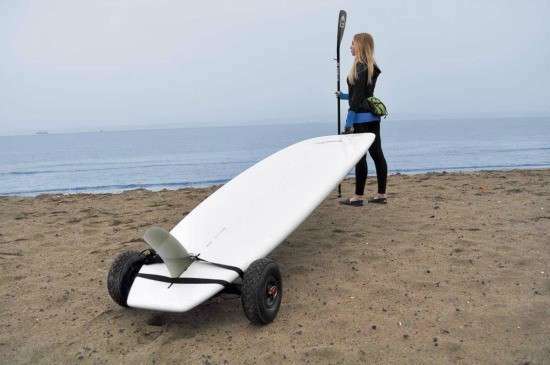 Once you get to the shore, there are a few options for getting your board to the water. 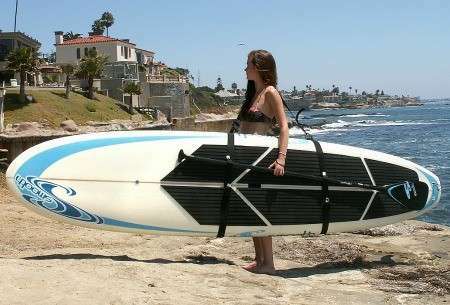 Firstly, you can use a paddle board carrier that fits your equipment in, equipped with handles for easy lifting. The only issue with this is you need to be comfortable with leaving the bag behind while you go out so don?t keep any valuables in it. Secondly, there are specialized SUP carry straps you can purchase that fit around the board and can even stay on while you?re out enjoying the water. Simply carry it on your shoulder like you would with a bag and that?s all you need to do. You might be thinking that stand up paddle boards don?t come cheap, and especially when you add up all the accessories you need to transport them, however, most brands nowadays come with everything you need to be included. This is a hobby that will require you to use the best equipment to keep your board safe and in top condition, so you need to be prepared to give it the care it needs. With some knowledge about safely and securely transporting paddle boards, you can ensure your SUP is in prime condition for when you?re ready to hit the water.